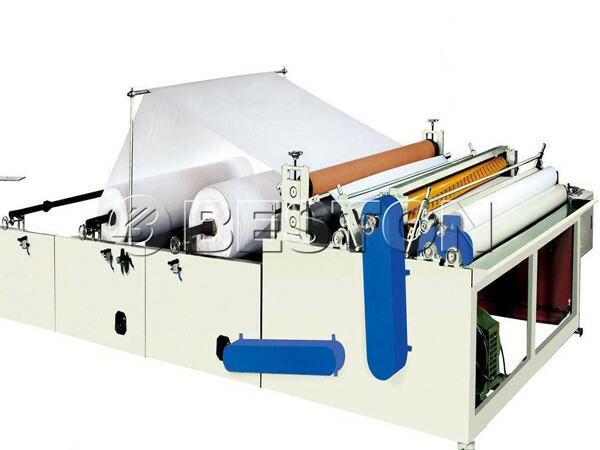 In the whole manufacturing process, we use toilet roll making machine to wind paper evenly. It can make paper more evenness and satisfy different demand. The toilet paper roll making machine is mainly used to roll large size of paper to bobbin paper of single layer, two layers, three layers. We have the working video of paper roll making machine. In the video, you can see the working details clearly. If you want to know more, you can also contact us. The toilet roll machine of we Beston Machinery adopts stainless steel that can guarantee high quality, long service life time and easy maintenance. In our factory, we should check every parts of the whole machine to make sure its first class quality. Therefore, many customers are satisfied with our toilet roll manufacturing machine. Our customers can be found all over the world. Embossing device:two sets of embossing. As professional toilet roll manufacturers, we can manufacture all models of the toilet roll machine for sale. If you don’t know what type you want to buy, you can give us your productivity demand. We can give you the most appropriate machine. Meanwhile, toilet roll making machine price of our factory is competitive. Besides toilet paper rewinding machine, we can manufacturer various of paper machines, such as napkin paper making machine, paper recycling equipment, etc. If you need, send us an email or leave you message on our website.